I really don't like the new covers they used on the reprints, but other than that WotC did a fine job with them. I think I'd get more use out of the AD&D 1e Monster Manual at the gaming table these days than any other 1e book - with the potential exception of the Fiend Folio. 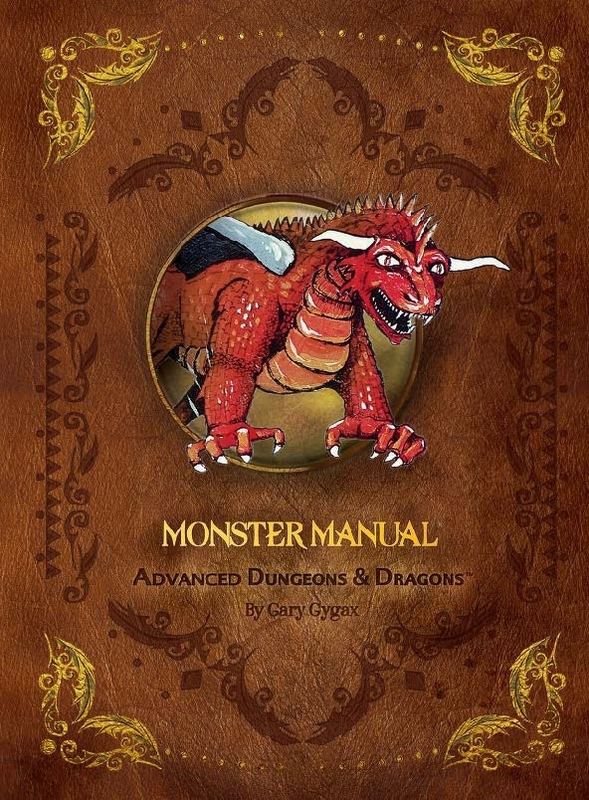 In any case, the Monster Manual is 10 bucks in PDF at RPGNow. Early blogger gets the worm! Damn, with your new schedule you're going to be on top of all the morning news. As much nostalgia as I have for the original cover, this is the best of the reissue covers. I still haven't seen a live copy of the reprints but I'd probably buy one if the binding is as good as the originals. Not in love with the new covers, but I do own all 3 reissues in hardcopy. The internals are very good. Wish they would have stuck to original covers, or even re-imaginings of them. This one bit in the circle just didn't do it for me. Particularly on the PHB where so much is happening and the context of the cover is pretty much what made it awesome, not just the statue.